Our triple rooms are spacious and feature a double bed and single bed, guaranteeing a comfortable night’s sleep. Our contemporary triple rooms are designed to both relax and inspire you. All our triple rooms have a double bed and a single bed that can accommodate up to 3 people. 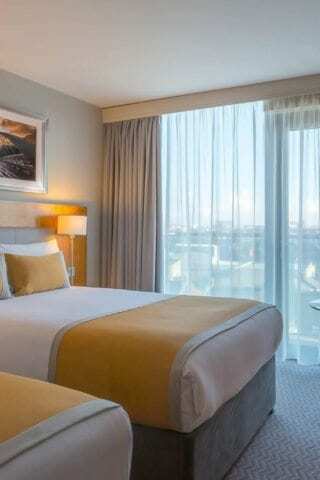 This type of room is idyllic for a friends Dublin city hotel getaway and what better location? These stylish, neat rooms are equipped with all the essentials to ensure your every need is met. Our welcoming colours and crisp white cotton duvets all combine to ensure you have a great night’s sleep. 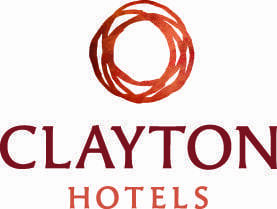 To ensure you stay connected during your stay at Maldron Hotel Smithfield, we have complimentary WiFi in all of our guest rooms, meeting rooms and public areas. All of our triple rooms have en-suite bathrooms with a bath and modern shower, large flat screen TV, work desk with lamp, laptop safe and tea/coffee making facilities.